The China Greentech Initiative is enabled by some of the world's best green technology companies, united in a single purpose to uncover, create and promote greentech opportunities in China. BP is one of the world's largest energy companies, providing its customers with fuel for transportation, energy for heat and light, retail services and petrochemicals. BP has transformed from a local oil company into a global energy group; employing over 80,000 people and operating in over 100 countries worldwide. Dow combines the power of science and technology to passionately innovate what is essential to human progress. The Company connects chemistry and innovation with the principles of sustainability to help address many of the world's most challenging problems such as the need for clean water, renewable energy generation and conservation, and increasing agricultural productivity. Dow's diversified industry-leading portfolio of specialty chemical, advanced materials, agrosciences, and plastics businesses delivers a broad range of technology-based products and solutions to customers in approximately 160 countries and in high growth sectors such as electronics, water, energy, coatings and agriculture. In 2011, Dow had annual sales of $60 billion and employed approximately 52,000 people worldwide. The Company's more than 5,000 products are manufactured at 197 sites in 36 countries across the globe. Dow entered China as early as the 1930s. Since that time, the Company has invested US$ 1.2 billion in the Greater China region, with annual sales of more than US$ 4.45 billion in 2011, which makes it the second largest international market for Dow globally. Haworth is a global leader in the design and manufacture of office furniture and organic workspaces. Serving markets in more than 120 countries, Haworth brings together workplace knowledge and combines it with our global capabilities to create high performance environments that support truly successful organizations. 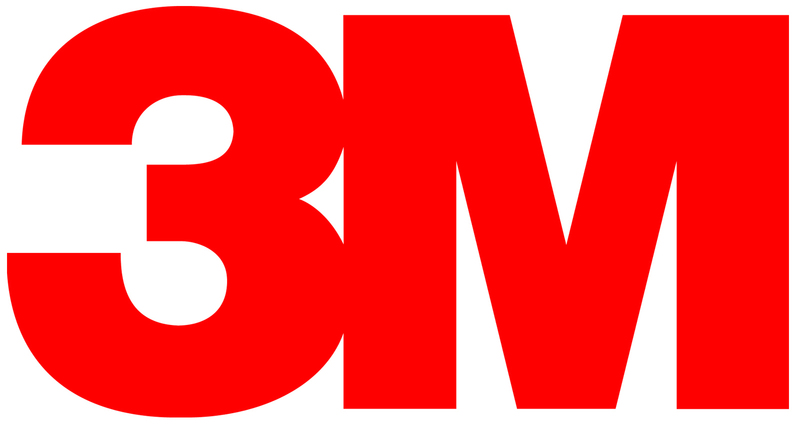 International Business Machines Corporation (NYSE:IBM) is a multinational information technology and services corporation headquartered in Armonk, New York, USA. IBM manufactures and sells computer hardware and software, as well as offers business solutions and services such as consulting, application development and management, infrastructure, hosting and outsourcing in areas ranging from mainframe system to nanotechnology. IBM holds more patents in the US than any other company in the world. It has engineers and consultants in over 170 countries, eight Research Labs and more than 50 development labs worldwide. IBM employees have earned three Nobel Prizes, four Turing Awards, six National Medals of Technology and seven National Medals of Science. As a chip maker, IBM is among the worldwide top semiconductor leaders. APCO Worldwide is a global consulting firm and a leading provider of government relations, strategic communication, corporate responsibility and corporate advisory services in China. We have been serving clients’ interests in China since 1989. Today, our China team includes more than 100 professionals from a diverse range of backgrounds, including business, government, journalism, academic and civil society. We are based in Beijing, Shanghai, Guangzhou and Hong Kong. Bayer is a global enterprise with core competencies in the fields of health care, nutrition and high-tech materials. The company’s products and services are designed to benefit people and improve their quality of life. At the same time Bayer creates value through innovation, growth and high earning power. The Group is committed to the principles of sustainable development and to its role as a socially and ethically responsible corporate citizen. Economy, ecology and social responsibility are corporate policy objectives of equal rank. In fiscal 2010, Bayer employed 111,400 people and had sales of €35.1 billion. Capital expenditures amounted to €1.6 billion, R&D expenses to €3.1 billion. The “Coca-Cola” brand is one of the most famous international brands in China. The brand enjoys its leading role in Chinese soft drinks market, with a vast portfolio products that are among the most welcomed drinks in China. Coca-Cola system together with its bottlers have been and will continue to operate as responsible corporate citizens, supporting local education programs, cooperative CSR projects and environmental protection projects for the benefit of sustainable community development in China. Clients have relied on Dorsey & Whitney LLP as a valued business partner since 1912. Our Cleantech Industry Group has the privilege of serving hundreds of cleantech companies and investors across the globe, including many of the sector’s most promising early and late stage technology companies. Our group integrates over 70 lawyers located across offices in the United States, Canada, Europe, Asia and Australia, and practicing in a variety of specialty areas, including corporate finance, private equity, project finance, energy regulatory, tax, intellectual property, advocacy and others. This broad array of specialty practices allows the group to offer clients seamless service throughout their life cycle – from assistance with early stage venture financings, intellectual property counseling and patent procurement to mid-stage project financings and later stage capital markets and merger and acquisition transactions. Eastman is a global specialty chemicals company that produces a broad range of advanced materials, additives and functional products, specialty chemicals, and fibers that are found in products people use every day. As a world leader in the diverse markets it serves, Eastman is focused on delivering innovative and technology-based solutions while maintaining its commitment to safety and sustainability. Serving customers in approximately 100 countries, Eastman had 2011 pro forma combined revenues, giving effect to the Solutia acquisition, of approximately $9.3 billion. The company is based in Kingsport, Tennessee, USA, and, with the completion of the Solutia acquisition, now employs approximately 13,500 people around the world. 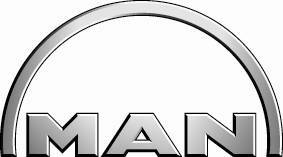 The MAN Group is one of Europe's leading manufacturers of commercial vehicles, engines and mechanical engineering equipment with annual revenue of approximately €16.5 billion and around 52.500 employees worldwide. MAN supplies trucks, buses, diesel engines and turbomachinery as well as turnkey power plants. MAN’s divisions hold leading positions in their respective markets. MAN is at the leading edge of developing green solutions solutions such as for cleaner transportation, efficiency, cleaner coal utilization and renewable energy. Munich-based MAN SE is one of the 30 leading companies in Germany's DAX equity index. Chyau Fwu and the listed Hong Kong Parkview Group Ltd. are wholly and substantially owned respectively by the Hwang family. The latest project – Parkview Green FangCaoDi in China is a green building setting new innovative standards for sustainable development. It houses office towers, a shopping mall, an art centre and a boutique hotel. It is also the first building in China to be awarded the LEED Platinum certification. PwC provides industry-focused assurance, tax and advisory services to enhance value for their clients. More than 161,000 people in 154 countries in firms across the PwC network share their thinking, experience and solutions to develop fresh perspectives and practical advice. Qiming Venture Partners is a leading venture capital firm in China with offices in Shanghai, Beijing, Hong Kong, Suzhou and Seattle. Founded in February 2006. Qiming currently manages five funds with $1.1 Billion in assets and focuses on early to growth stage investments in Information Technology, Internet and Consumer, Healthcare, and Cleantech. Qiming’s over 20 partners and investment professionals who all have strong operational experience and successful investment track records add a great deal of value to the portfolio companies. Qiming has invested in over 70 companies and many of them have gone IPO or mergers and acquisitions. Qiming has established a great reputation and strives to be the top investment partner by the Chinese entrepreneurs. Saint-Gobain, the world leader in the habitat and construction market, designs, manufactures and distributes building materials, providing innovative solutions to today’s critical challenges of growth, energy efficiency and environmental protection. Saint-Gobain ranked 161st on the 2012 Fortune 500 list and is among the world's hundred leading industrial corporations. Present in China since 1985, Saint-Gobain has 54 subsidiary companies employing over 10,000 people throughout China today. By proposing quality products for green solutions as well as a high level of services to domestic customers, the sales in China totalized more than 1 billion Euros in 2012. Sasaki was founded 60 years ago on the basis of interdisciplinary planning and design. Today, our services include architecture, interior design, planning, urban design, landscape architecture, strategic planning, civil engineering, and graphic design. Among these disciplines, we collaborate with purpose. Our integrated approach yields rich ideas and surprising insights. We approach our work from a foundation of wide-ranging expertise and bring fresh energy and innovation to each project. Our culture is inquisitive—we are passionate about ideas. Our professionals embark on research efforts and contribute to thought leadership in our respective disciplines. From our studios in Boston and Shanghai, we work in a variety of settings—locally, nationally, and globally. We ask the right questions and listen attentively. We are team-based, both internally and with our clients. Together, we examine the problem and the context in which it exists. Sasaki is an innovator. We play a leading role in shaping the future of the built environment through bold ideas and new technologies. We approach sustainability through the lenses of economics, social context, and the environment. Our solutions are not only effective—they are poetic and enduring. Our approach helps clients make smart, long-term decisions that result in greater value for them, and a better future for the planet. Scania is one of the world’s leading manufacturers of trucks and buses for heavy transport applications, and of industrial and marine engines. A growing proportion of the company’s operations consists of services, assuring Scania customers a holistic offer of sustainable, cost-effective transport solutions, and maximum reliability. Founded in 1891, legendary Scania enjoys a great reputation in the industry as “King of the Road”. Employing some 37,500 people, Scania operates in about 100 countries. Research and development activities are concentrated in Sweden, while production takes place in Europe and South America, with a global production system for both components and complete vehicles. Tishman Speyer is one of the leading developers, owners, operators, and asset managers of first class real estate worldwide. Active across North America, Europe, South America and Asia, Tishman Speyer is relied upon by many of the world's most prestigious corporations to meet their office space needs. The firm had acquired, developed and/or managed a portfolio of approximately 123 million square feet (equivalent to approximately 11.5 million square meters) with a total value of over USD $63.6 billion since its founding in 1978. Signature assets include New York's Rockefeller Center and the Chrysler Center, São Paulo's Torre Norte, Ventura Corporate Towers in Rio de Janeiro, and Opernturm in Frankfurt. Tishman Speyer also has projects at different stages of development currently in Brasília, Chengdu, Frankfurt, Gurgaon, Hyderabad, Paris, Rio de Janeiro, São Paolo, San Francisco, Shanghai, Suzhou and Tianjin. Established in 2001, Tsing Capital is the pioneering and leading cleantech venture capital firm in China with a distinguished track record and international recognition. Through its China Environment Fund and Yiyun Cleantech Fund series, Tsing Capital works intimately with its portfolio companies across China in areas of renewable energy, energy efficiency, environmental protection, new materials, sustainable transportation, smart grids, sustainable agriculture and cleaner production. Tsing Capital champions the “Triple Bottom Line” investment practice and its own “Doing Well by Doing Good ©” investment philosophy in China, which has won itself the 2008 Corporate Citizenship Award by the 21st Century News Group. In 2010, Tsing Capital was selected as 1 of the 10 “Companies That Will Shape the World in 2020” in Aron Cramer’s new book Sustainable Excellence. In 2011, Tsing Capital won “Responsible Investor of the Year in Asia” Award by PE Asia, the first of its kind awarded to Chinese VC/PE community. UTC Climate, Controls & Security is the leading provider of heating, air conditioning and refrigeration systems, building controls and automation, and fire and security solutions. UTC Climate, Controls & Security is a unit of United Technologies Corp. (NYSE: UTX), a leading provider to the aerospace and building systems industries worldwide. Volkswagen Group is the largest and most successful international partner of China’s automobile industry, whereby the initial contact between the company and China already dated back in 1978. In 1983, Shanghai Volkswagen Corporation Ltd. was established as the first joint venture of Volkswagen Group in China, followed by FAW-Volkswagen Corporation Ltd. in 1991 as the second joint venture. In 2012, Volkswagen Group China delivered more than 2.8 million vehicles to customers in mainland China and Hong Kong. DP Cleantech Co Ltd is an independent, world leading renewable energy company specializing in the conversion of various waste by-products to energy. Founded in 2004, DPCT owns the IP for core European biomass to power technology; and also offers the engineering design; equipment manufacturing and sourcing; installation, commissioning and servicing capabilities to support a robust and integrated product and services proposition for the global renewables market. Headquartered in Europe, with an established reference list of over 70 biomass power plants around the world and over 30% share in the fast growing China market; DP CleanTech has strategically expanded its geographic scope and leveraged its technology expertise, depth of experience and global supply chain to pioneer new approaches to value engineering; supplying performance-guaranteed, end-to-end biomass power solutions to a wide and growing range of clients. Company description: EDF Group is a leading player in the European energy market, and the largest nuclear operator in the world. As an integrated electricity company with more than 60 years of power development experiences, EDF has comprehensive world-class industrial competitiveness in nuclear power, thermal power, hydropower and new energy power generation. Active and specialized in all aspects of power supply including electricity generation, transmission, distribution, sales, energy efficiency and energy trade, EDF can provide various integrated energy solutions in power project investment, engineering and management or grid transmission and distribution. GDF SUEZ, the number one utility services company in the world, is active across all utility services (water, waste, power, gas, energy services). In China the group is active in water and waste since 40 over years under SUEZ ENVIRONNEMENT Brand (see the water and waste chain panels). In energy, it started its activities in 2009. GDF SUEZ develops heating and cooling networks and energy efficiency solutions, offers engineering services and addresses all segments of the gas chain (LNG sales, underground gas storages, infrastructures management, …). GDF SUEZ is the leader of the Gas Chain in Europe. HSBC Bank (China) Company Limited started operations on 2 April 2007 as a locally incorporated foreign bank. It is wholly owned by its parent, The Hong Kong and Shanghai Banking Corporation Limited, which is based in the Hong Kong Special Administrative Region. HSBC China incorporated the previous Mainland offices of its parent, which retains a branch in Shanghai that conducts foreign currency wholesale banking. Established in Hong Kong and Shanghai in 1865, The Hong Kong and Shanghai Banking Corporation Limited has had a continuous presence in mainland China for nearly 150 years. It is the founding and a principal member of the HSBC Group, which has around 6,900 offices in more than 80 countries and territories, making it one of the world's largest banking and financial services organisations. Update to January 2013, the Bank has a branch network across 45 cities, having the largest number of outlets and the widest geographical reach of any foreign bank in mainland China. Huaneng Invesco WLR Investment Consulting Company Ltd. (“HIWLR”) is a joint venture between Huaneng Capital, financial services platform of China Huaneng Group and Invesco with its private equity arm WL Ross & Co. HIWLR takes advantage of the unique combination of strengths of Huaneng as the largest power company in China, and Invesco's global reach in capital markets as well as WLR's rich private equity experience to provide advice on energy related investment in China. HIWLR focuses on opportunities in cleaner traditional energy, new energy, energy logistics, smart grid, energy storage and conservation and other related areas. Kardan Water, the water sector operational platform of Kardan Group in the Chinese market, develops, operates and invests in water-related projects in mainland China, focusing on water treatment, wastewater treatment and water reclamation. Kardan Water enjoys Kardan Group's extensive know-how, robust financing capabilities, and international experience in water-related projects across the globe. This has enabled the company to develop a strong presence in China – manifested in 10 projects in four provinces – and to become a reliable long-term partner to the Chinese Government, supporting China's efforts for cleaner, more sustainable development. Established in 1992, Liaoning Huafu Group is engaged in technical consulting, fabrication, EPC , BOT and capital operation from oil production, environmental, energy conservation and NG processing industries. The Group is a private high-tech enterprise evaluated by National Science & Technology Ministry with 12 domestic and overseas subsidiaries and offices, and also possesses its own Consulting and R&D Institute, manufacturing and chemical factory and several professional companies. Huafu Group is composed of several companies, including Liaoning Huafu petroleum Hi-tech Corp. Ltd , Liaoning Huafu Environmental Engineering, Liaoning Huafu-Andmir Environment Equipment, Shandong Huafu petroleum & Environmental, and Panjin Huafu LengJia Wastewater Treatment Plant, etc. LP Amina is a US-based energy and environmental company that focuses on sustainable coal utilization for power generation and innovative coal-to-chemicals production processes. 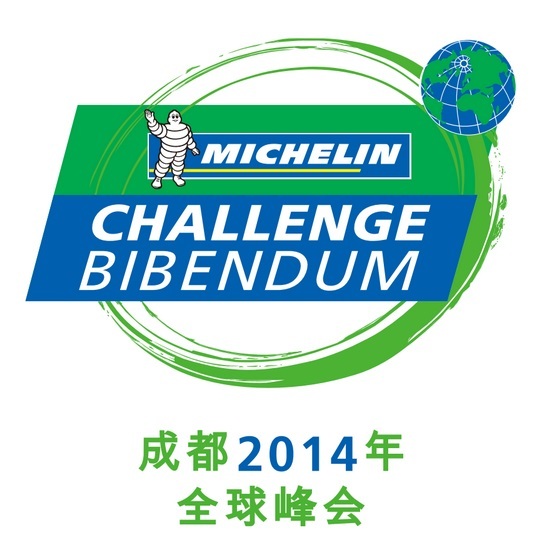 Michelin, the leading tire company, is dedicated to sustainably improving the mobility of goods and peopleby manufacturing and marketing tires for every type of vehicle, including airplanes, automobiles, bicycles/motorcycles, earthmovers, farm equipment and trucks.It also offers electronic mobility support services on ViaMichelin.com and publishes travel guides, hotel and restaurant guides, maps and road atlases.Headquartered in Clermont-Ferrand, France, Michelin is present in more than 170 countries, has 111,200 employees and operates 67 production plants in 17 different countries.The Group has a Technology Center in charge of research and development with operations in Europe, North America and Asia. RTI International is one of the world’s leading research institutes, dedicated to improving the human condition by turning knowledge into practice. Headquartered in the United States, RTI has more than 3,700 staff who provide research and technical services to governments and businesses in more than 75 countries. RTI’s Beijing office specializes in energy and the environment, with a special focus on air quality monitoring. Xuwei New Area, approved by the State Council, is a pilot area for regional cooperation between the eastern, central and western parts of China, located in the southeast of Lianyungang. Xuwei will strive to become an important gateway to China’s central and western regions, acting as a pioneering demonstration area for regional cooperation and pilot area of innovative regional cooperation. Xuwei has focused on five main areas of industry: The integration of refining, fine steel, advanced equipment manufacturing, clean energy and modern port logistics. It’s expected that by the end of the 12th Five-Year Plan, Xuwei New Area will become the main force for the new coastal industrialization and development in Jiangsu Province, making itself the new center of economic growth on the Jiangsu coast.